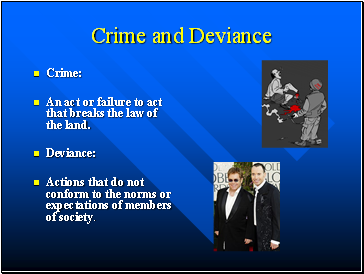 An act or failure to act that breaks the law of the land. Actions that do not conform to the norms or expectations of members of society. 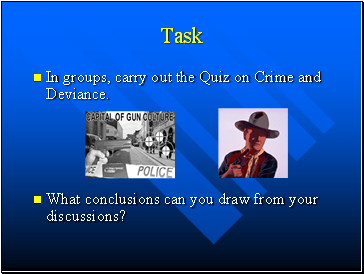 In groups, carry out the Quiz on Crime and Deviance. 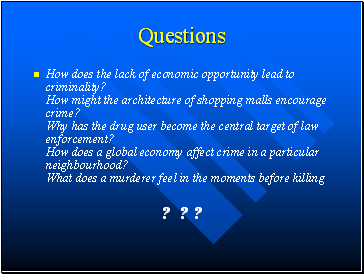 What conclusions can you draw from your discussions? 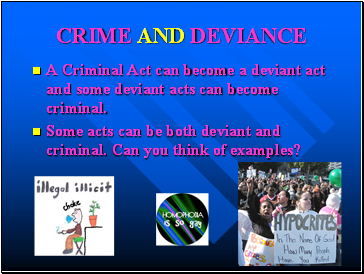 A Criminal Act can become a deviant act and some deviant acts can become criminal. 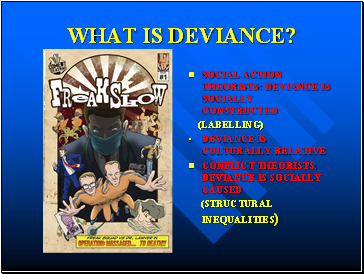 Some acts can be both deviant and criminal. Can you think of examples? 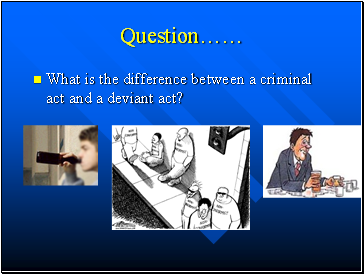 What is the difference between a criminal act and a deviant act? 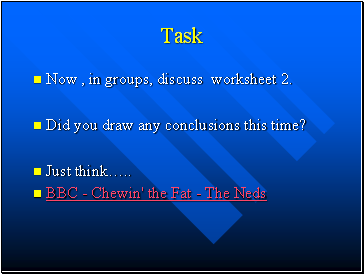 Now , in groups, discuss worksheet 2. Did you draw any conclusions this time? Is crime a choice . 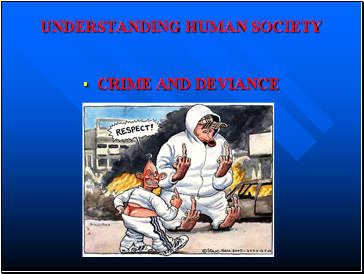 or an impulse beyond the criminal’s control? Why do gangs develop in some areas of a city and not in others? How does a thief learn the tricks of the trade? Why do employees support questionable business practices? 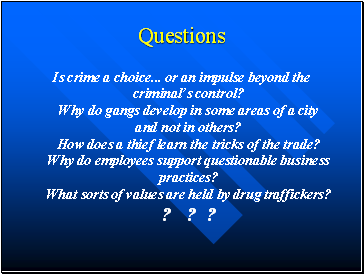 What sorts of values are held by drug traffickers? ? ? ? 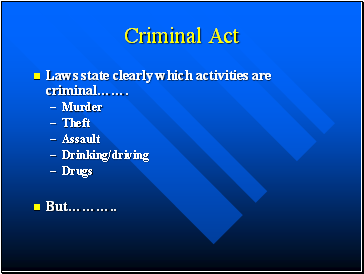 Laws state clearly which activities are criminal……. Laws can change. 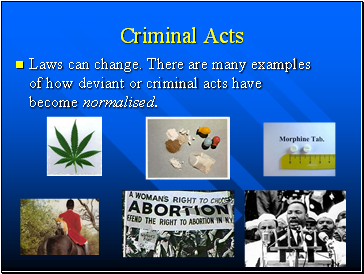 There are many examples of how deviant or criminal acts have become normalised.